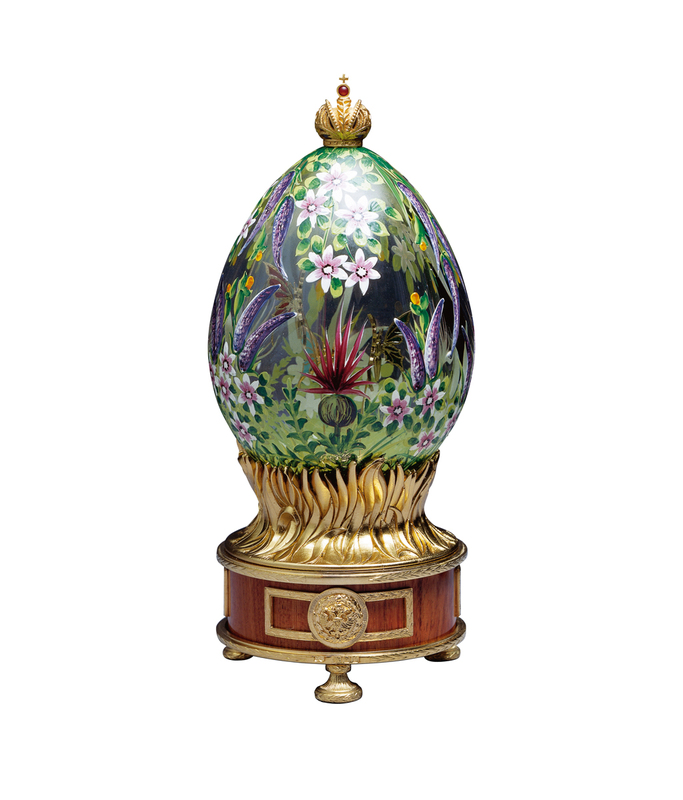 The tranquillity on a lazy summer's day in an English country garden, with the scent of flowers, has been the inspiration for this creation. 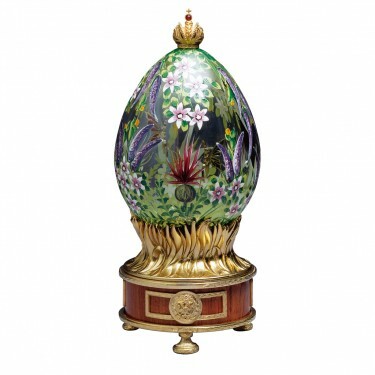 The hand painted crystal Egg, surmounted with the Imperial crown with a cabochon ruby, encloses the three colourful enamelled butterflies dancing to the sound of Tchaikovski's Waltz of the Flowers. The vermeil base of ornamental grass design and panelling of bubinga wood are detailed with the double headed eagle of Russia, both conceal the musical box, hidden within. The butterflies attracted to Buddleia, also known as the butterfly bush, dance to the beauty of nature that surrounds them.